If you asked my friends to describe me in a sentence, I bet most of them would mention “dog lover” somewhere in there. I LOVE dogs – big dogs, little dogs, old dogs, puppies and everything in between! 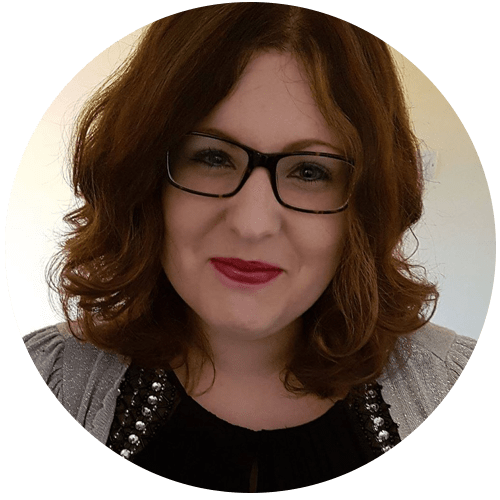 Not only do I own two shih tzus but I regularly volunteer at my local dog rescue so get to spend lots of time surrounded by gorgeous pooches – which was what inspired me to create this printable. 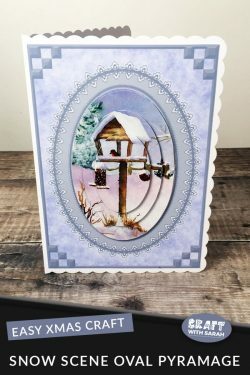 The card front measures about 5.5 x 5.5 inches, making it perfect for 6×6 inch cards as it leaves a little border around the edge of the card. Vibrant pink shades make this a wonderfully bright and colourful printable. 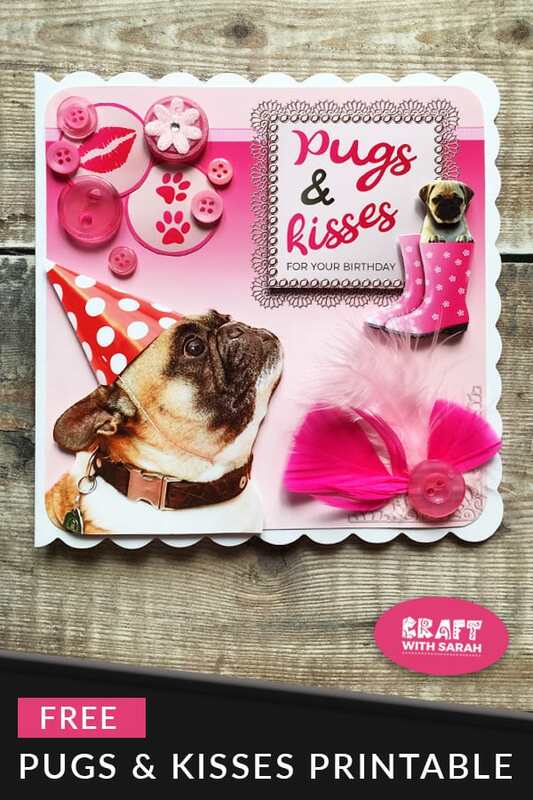 The text in the top right says “pugs & kisses for your birthday”. 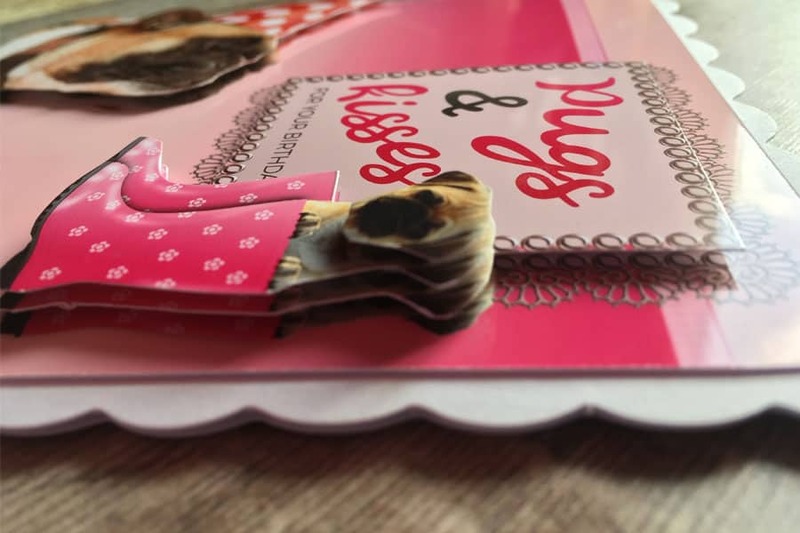 Follow these simple step-by-step instructions to create your own doggie birthday card. I print my craft sheets onto Crafty Bob Glossy Paper. 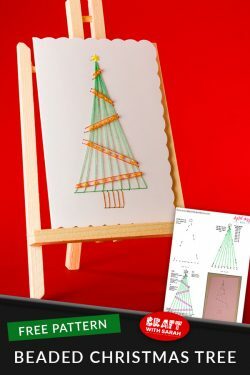 This is a special type of paper designed especially for greetings cards and crafts. I love this paper because it dries instantly and is smudge-proof straight after printing, meaning that I can start using the printed sheet straight away. Carefully cut out all pieces on the craft sheet. 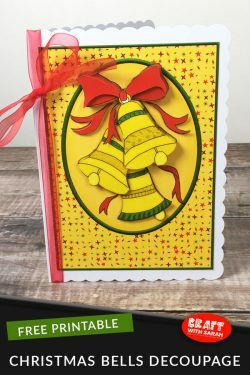 Smaller scissors or specialist decoupage scissors can make it easier to cut around the more intricate pieces. 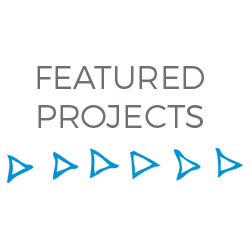 I rounded the corners of the main image with a rounded corner punch, but this is optional. 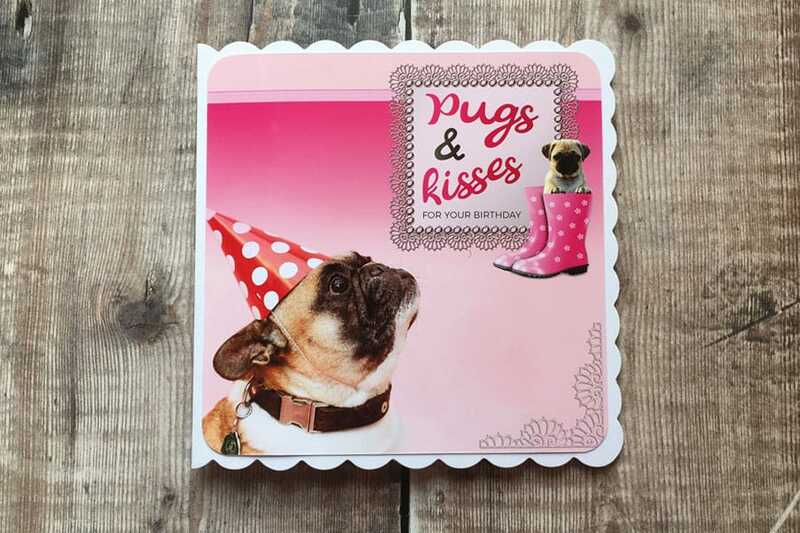 Firmly attach the main image to your 6×6 inch card blank using double-sided tape or glue. Tape is best as you don’t have to wait for it to dry and it’s less messy. 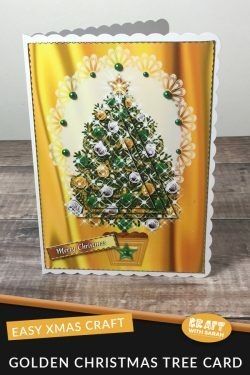 Use 3D foam pads to stick all of the layers to your card. Start with the larger layers and work your way to the smaller ones. The foam pads give a lovely depth to your card as shown in the photo above, which creates a 3D effect. Now for my favourite part! Decorate the card to give it your own unique flair. 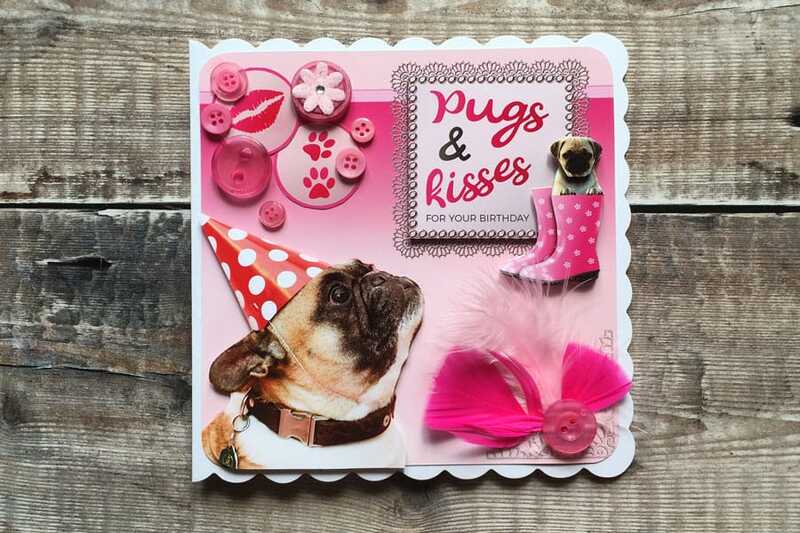 I used a selection of pink buttons and feathers in all different shades of pink to match in with the main colours of this card. 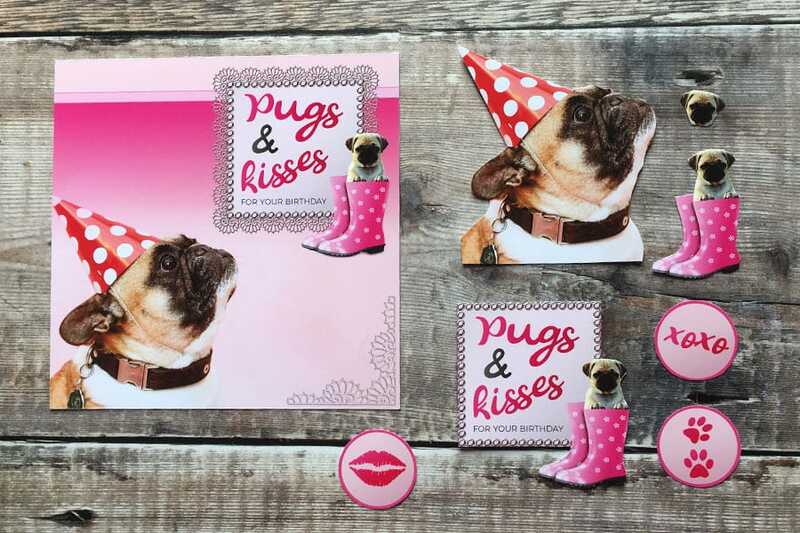 Mod Podge is perfect for adding heavier items such as buttons to your card as it’s a firm glue which dries quickly. 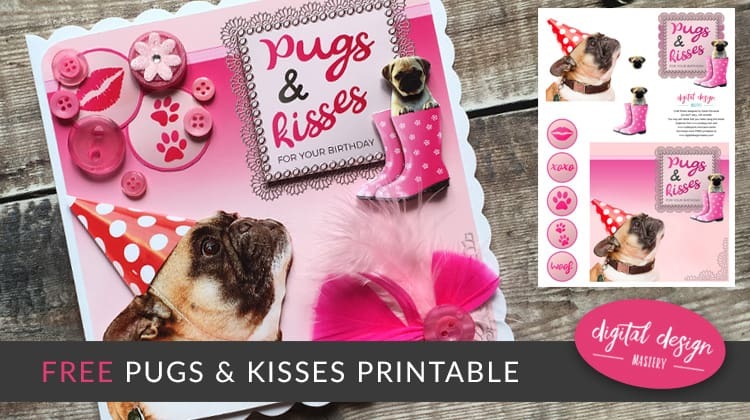 Please take a second to share "Pugs & Kisses Free Craft Printable" on Pinterest.